Our Captain Dylan Hunt Welcome Party is this Friday, August 8, 2014 from 5-8 pm. 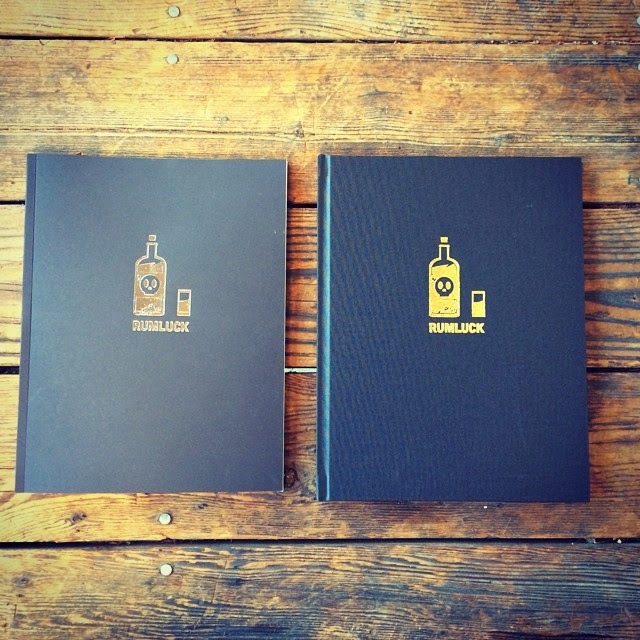 That same night, right on top of that event, we're hosting a Rumluck Release Party in the shop, starting at 6 p.m. If you supported local artist Hainanu Salque's Rumluck project, you'll be able to come by and pick up your copy. Please note that copies will *not* be on sale. ONLY those who supported the project and qualified for a book will be able to obtain one. Prints by the artist will be on sale to the public. Dylan Update: Our poor pup has been sick, so we're not sure she'll make it. If she's up for it, however, then she will be there. We will continue with the refreshments and the sale. Also, Rolly will be present.